This is an example of a smart tattoo. If sea slugs can steal chloroplasts from algae for functional photosynthesis, why can’t we? 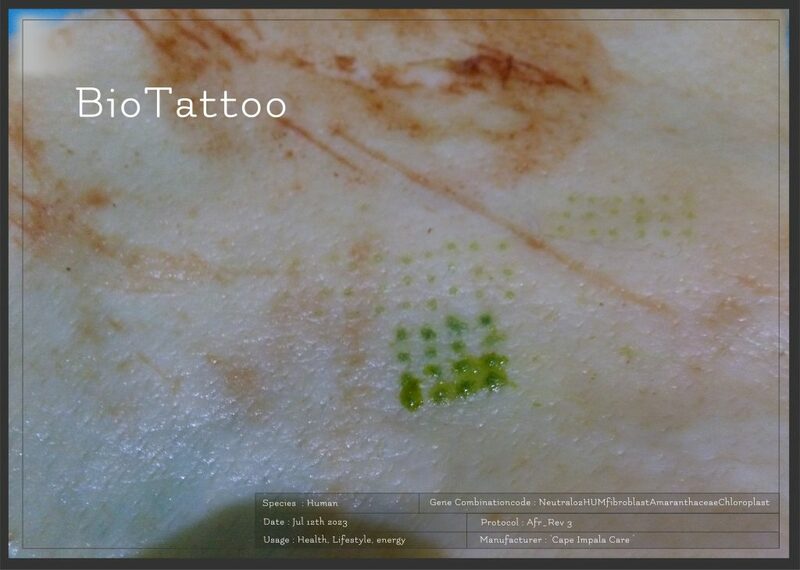 Could we use chloroplast tattoo`s to reduce costs on food? Or simply as a lifestyleproduct? What would it look like if it would be used in commercial GMO ‘products’. 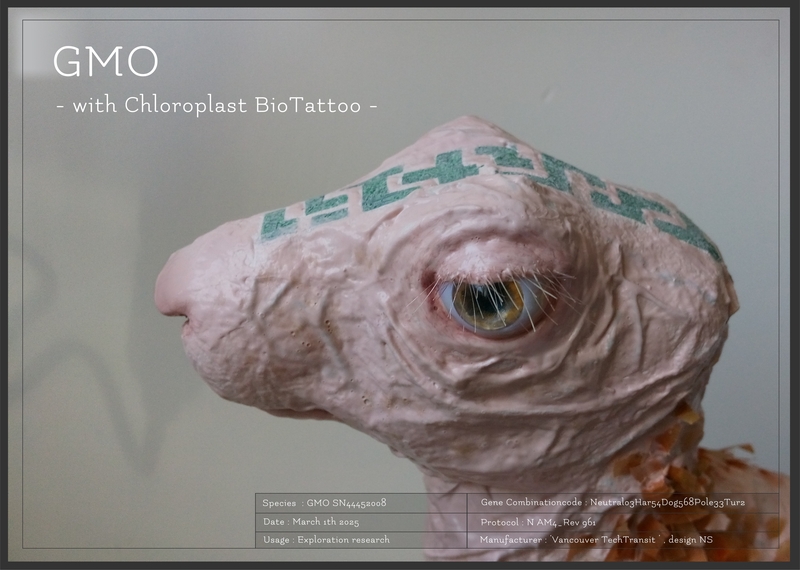 The organism is altered with CRISPR-Cas and is tattooed with a choroplast BioTattoo, wich provides extra energy. This is an example of a genetic modified organism with a smart tattoo. A herd of these animals could be used to explore harsh environments. The tattoocode can be read from a distance, for example from a helicopter or a drone.